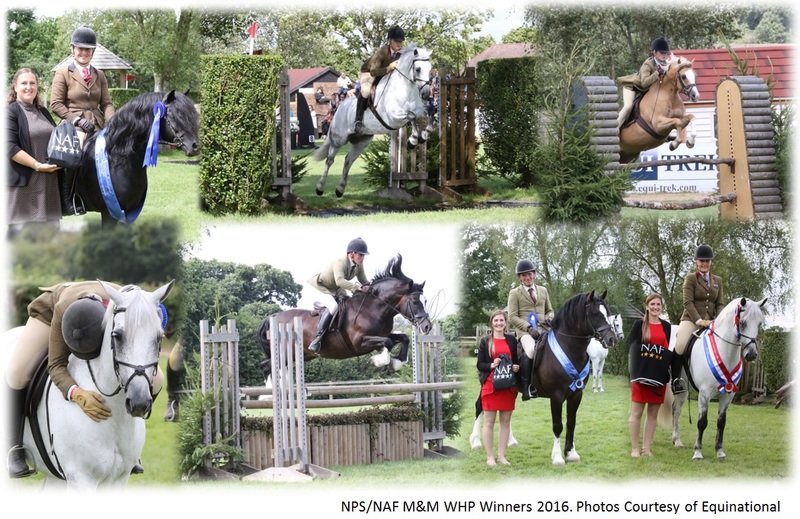 The National Pony Society are the proud organisers of the prestigious NPS/ NAF M&M Working Hunter Pony Championship held annually at the Longines Royal International Horse Show, Hickstead in the last week of July. The NPS/NAF M&M WHP RIHS Championship is one of the hardest competitions to qualify for. At each qualifier a challenging 12 fence course must be tackled in a stylish matter along with receiving ride and conformation marks. The overall top placed NPS member takes the golden ticket. During the final at Hickstead another diverse 12 fence course will be jumped with an increased height of 5cm in each section and the inclusion of a water splash (which aren’t always seen in the qualifying rounds). The cleanest, most stylish round, with the best ride and conformation marks accumulated will take the overall glories for each of these four exciting championships. The first and second prize winners from the four height sections will then battle it out to take the overall champion and reserve honors of the entire final. Heights at the final will increase by 5cms in all classes. The 2019 Final will take place on Friday 26th July 2019 at Hickstead.